Tap Tap Reborn 2: Popular Songs is the best of rhythm game. To be more specific that will redefine the way you enjoy music by offering an immersive music experience by allowing you to literally touch the beats. 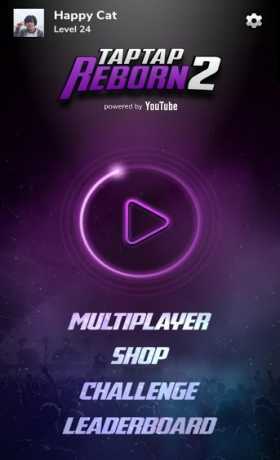 In this evolution, our tap game will offer you the popular songs with various genres from pop song, EDM, Trap as well as Rock which make you feel crazy with this rhythm game every time you turn it on in your phone. Turn on maximum volume or use headphone for the best experience with your most favorite popular song and enjoy the beat fever with this tap tap game. Really simple, but not easy at all: Tap the ball as it reaches scoring areas. You score by getting as much combo as possible with Perfect tap accuracy. 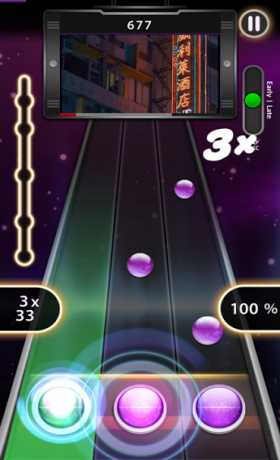 To enhance the music experience with the tap music game online, you can turn on slake and slash in option. Let’s Slash when you see the ball with the arrow come to the drop bar. Shake your phone when you see the “shake” signal. _ Multiplayer Mode: create your own room and wait another player to join the room and play the online battle with them. _ Our song collections come from different genres and are updated every week. _ “Shake” bar: will appear when the beat drops! You need to physically shake your phone in order to score and keep the combo. _ “Slash”: a beat-ball with an arrow to any particular direction on drop bar. To score, player need to swipe the “Slash” ball into the same direction showed on it. _ A ritmo game with stunning visual from a legendary game-playing nostalgic style with full of rhythm. 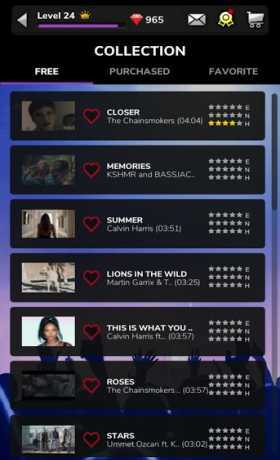 _ Conquer all the quests and achievements to become a real music hero or a tap hero by tap, earn easy Ruby to discover hundreds of Premium Songs. _ Challenge your friends show off your skill. Play, practice your fingers like you are trying to play a stepmania by your foots! Don’t worry if you lose, because you can Revenge them anytime by just one click. _ Amazing sound quality and perfect timing beats shall give you an amazing juego de ritmo experience that you cannot believe such thing exist on a mobile game. Are you ready to tap and become the next tap hero, or rhythm game incarnate? Try this now for FREE! If you are a music producer and would like to spread your music to the world, please feel free to email us. As a startup, we would love to promote indie music as well. Permission: In order to provide the personalized and optimized experience, we would request “Location” and “Storage” permission when you download this game.